Ms. Lee was admitted to the Korean Patent Bar in 2009. Prior to joining Y.P. 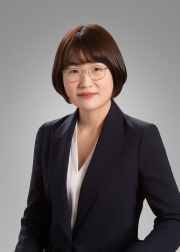 Lee, Mock & Partners in 2018, she practiced for several years at Kim & Chang, Koreana Patent Firm, Cho & Partners and KBK & Associates, where she represented numerous clients on a range of issues in connection with trademark matters. Her practice is focused on the areas of trademark prosecution and enforcement, as well as disputes. She also has extensive experience in providing legal comments on the prosecution and management of IP rights.